[Error Code] Kmbs 552 pagescope ssl error! Thread: Kmbs 552 pagescope ssl error! 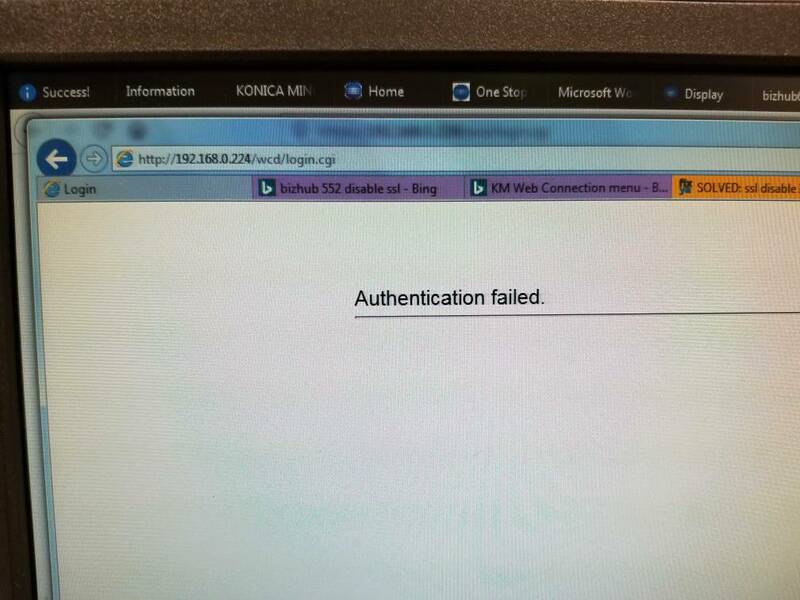 Re: Kmbs 552 pagescope ssl error! then pagescope normally should work. even without SSL the non SSL page should open. is there something to click on the page like advanced and accept connection anyway? It gives SSL error not enabled, but I can't login to pagescope to enable it or go into enhanced security in admin mode...it's blank!!! please post a screenshot of the error page. I'll have to do that tomorrow AM! Machine had all settings cleared in service mode. Definitely a head scratcher! I initially thought it was the hard drive but swapped it with one from another machine, reformatted & reinstalled firmware. Real problem, another machine of the same model is exhibiting the same "problem"!!! honestly it looks like a password issue. i have hundreds of machines that dont have SSL and i can still login. i would try a system data reset again, turn ther HDD back on and run the latest firmware. if that still does not work in service mode select reset admin password and use the standard 1-8 once see if that helps. Just for clarity. 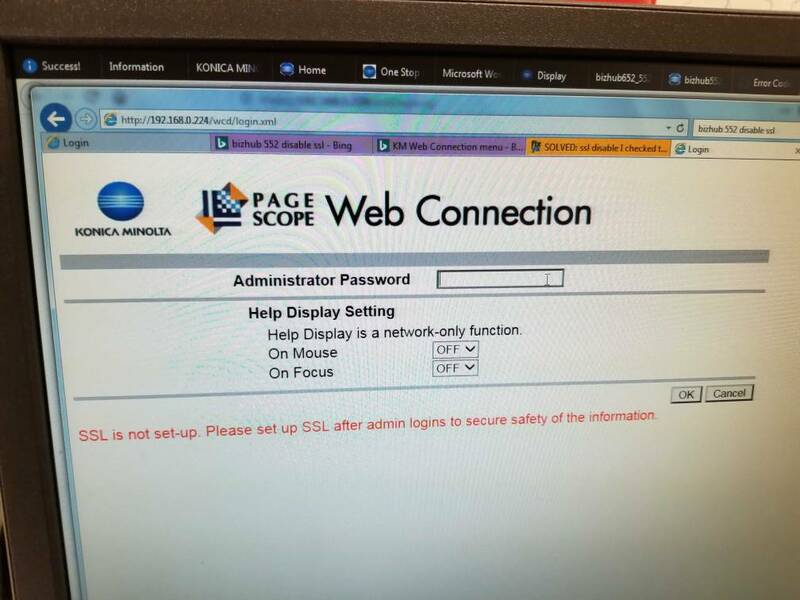 Does the Administrator password you enter into Pagescope on the web interface work when entered from the panel of the copier? Nevermind: just saw where you posted earlier that you can get into Admin mode from the panel. 12345678 works AT THE COPIER!!! ...but not on Pagescope. Check the setting of SW25, I have seen this happening when the setting did not match the FW version.